RED BOW Records’ Craig Campbell kicked off the holiday season with a captivating performance at the 69th Annual Macy’s Great Tree Lighting in Atlanta, GA on Sunday (11/20). His set featured his hits “Outskirts of Heaven” and “Keep Them Kisses Comin’” and festive covers including Alan Jackson’s “I Only Want You For Christmas” and the classic “White Christmas.” As a Georgia native, Campbell was thrilled to join in this flagship event that has become a state tradition for nearly 7 decades. Making the night even brighter, the singer-songwriter shared the stage with award-winning artists Aloe Blacc and Michelle Williams for the big finale of “O Holy Night” complete with spectacular fireworks and tree lighting. Next stop for Campbell is Chicago, IL, where he will perform his Top 40-and-climbing single “Outskirts of Heaven” at the 83rd annual McDonald’s Thanksgiving Parade, airing live on November 24 at 8:00a CT on WGN 9 Chicago or WGN America. Campbell made his national TV debut earlier this year with “Outskirts of Heaven” (Campbell, Dave Turnball) on NBC’s TODAY and the powerful song has racked up rave reviews with fans praising; “brought me to tears,” “gave me chills,” and claimed “this is what country music is supposed to sound like.” Following 2015’s “Tomorrow Tonight,” Campbell has been in the studio working on his RED BOW Records debut album. Previously sharing the stage with Randy Houser, Alan Jackson, The Band Perry, Jerrod Niemann, and Justin Moore, he is currently playing shows nationwide and working with the Grand Ole Opry on a tour in honor of the USO’s 75th anniversary with more details to be announced soon. For more information on Craig Campbell and tour dates, visit www.craigcampbell.tv. ABOUT CRAIG CAMPBELL: Campbell launched on to the country music scene with the release of his self-titled debut album (2011) delivering the hits “Family Man,” “Fish,” and “When I Get It.” To date, he has logged five consecutive charted hits with over a billion radio airplay audience impressions and over a half million downloads. Acclaimed as one of the genre’s most neo-traditionalist singers, his Top 15 breakout debut “Family Man” was featured on HBO’s True Blood and fan-favorite “Fish” has tallied nearly 400,000 digital copies sold. Campbell earned his first Top 10 smash with the infectious “Keep Them Kisses Comin’” from his sophomore album NEVER REGRET (2013). The gifted songwriter co-wrote Garth Brooks “All American Kid” off of MAN AGAINST THE MACHINE. Prior to landing his first record deal, the Lyons, GA native spent time on the road playing keyboard for both Tracy Byrd and Luke Bryan – shows that inspired him nightly. He was soon discovered while playing a regular gig at the downtown Nashville honky-tonk, The Stage. Current Single, “Outskirts of Heaven,” Climbing The Country Radio Charts [bctt tweet=”Campbell Continues To Prove Why He’s A Top Notch Husband In Weekly #HusbandGoals Feature On Sounds Like Nashville”] NASHVILLE, TN (October 8, 2016) – RED BOW Records’ artist Craig Campbell is performing the national anthem at the undefeated Denver Broncos (4-0) vs. Atlanta Falcons (3-1) matchup at Sports Authority Field in Denver, CO, Sunday (10/9). The annual “Salute to Survivors” game also serves to raise awareness of breast cancer. Campbell, who lost his father to colorectal cancer, will proudly wear a pink shirt in support. The game kicks off at 2:05pm MDT and can be seen throughout the country on FOX. In addition to his current single, “Outskirts of Heaven,” ascending the country radio charts and a heavy tour schedule, Campbell is also keeping busy with his husband/father duties. Sounds Like Nashville continues to uncover how the country singer maintains his status as the ideal husband and father in the weekly #HusbandGoals column. Whether it be a photograph of Campbell going with his girls to a father/daughter dance or making some of us blush with a picture of him and wife Mindy sharing a kiss, it’s easy to see how he keeps his family going strong. Campbell recently performed “Outskirts of Heaven” on NBC’s TODAY, which released to rave reviews across media and fans alike. After Rolling Stone Country featured an exclusive “First Listen” to the track that he wrote alongside Dave Turnbull, fans praised the ballad saying it “brought me to tears,” “gave me chills,” and claim ed “this is what country music is supposed to sound like.” Following 2015’s “Tomorrow Tonight,” Campbell has been in the studio working on his RED BOW Records debut album. Previously sharing the stage with Randy Houser, Alan Jackson, The Band Perry, Jerrod Niemann, and Justin Moore, he is currently touring across the U.S. with more dates to be announced soon. For more information on Craig Campbell and tour dates, visit www.craigcampbell.tv. ABOUT CRAIG CAMPBELL: Campbell launched on to the country music scene with the release of his self-titled debut album (2011) delivering the hits “Family Man,” “Fish,” and “When I Get It.” To date, he has logged five consecutive charted hits with over a billion radio airplay audience impressions and over a half million downloads. Acclaimed as one of the genre’s most neo-traditionalist singers, his Top 15 breakout debut “Family Man” was featured on HBO’s True Blood and fan-favorite “Fish” has tallied nearly 400,000 digital copies sold. Campbell earned his first Top 10 smash with the infectious “Keep Them Kisses Comin’” from his sophomore album NEVER REGRET (2013). The gifted songwriter co-wrote Garth Brooks “All American Kid” off of MAN AGAINST THE MACHINE. Prior to landing his first record deal, the Lyons, GA native spent time on the road playing keyboard for both Tracy Byrd and Luke Bryan – shows that inspired him nightly. He was soon discovered while playing a regular gig at the downtown Nashville honky-tonk, The Stage. CRAIG CAMPBELL LAUNCHES “CRAIG CAMPBELL: MAKING COUNTRY MUSIC GREAT AGAIN” CAMPAIGN WITH FIRST INSTALLMENT OF PARODY VIDEOS The RED BOW Records’ Singer/Songwriter Also Announced Upcoming Coast to Coast USO Tour in Honor of the Grand Ole Opry/USO 75th Anniversary NASHVILLE, TN (July 22, 2016) – Following his debut performance on NBC’s “TODAY,” RED BOW Records’ Craig Campbell has launched his “CRAIG CAMPBELL: MAKING COUNTRY MUSIC GREAT AGAIN” campaign today (7/22). The first installment of the parody was released exclusively to select FOX affiliates around the country and t-shirts can be purchased here. “I love country music,” says Campbell, “I have dedicated my life to making it the only way I know which is great. In my book there is only one kind of country music…Great Country Music. 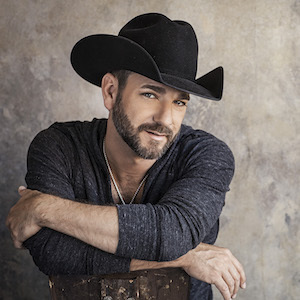 It’s what I do.” Watch the “CRAIG CAMPBELL: MAKING COUNTRY MUSIC GREAT AGAIN” campaign video: https://youtu.be/xmo9bwwZV4Q Every Wednesday, Campbell releases a #WCW (Woman Cover Wednesday) video featuring his rendition of songs originally sung by women. The latest video, filmed backstage at the “TODAY” show features his take on Cyndi Lauper’s “Girls Just Wanna Have Fun.” #WCW videos can be found across Campbell’s social media platforms or here. Campbell recently announced his upcoming first-ever USO tour, and that he will participate in the Grand Ole Opry/USO 75th Anniversary concert series. Going from coast to coast, performances include Patrick Air Force Base in Florida on August 7 and Joint Base Lewis-McChord in Washington on August 9. ABOUT CRAIG CAMPBELL: Campbell launched on to the country music scene with the release of his self-titled debut album (2011) delivering the hits “Family Man,” “Fish,” and “When I Get It.” To date, he has logged five consecutive charted hits with over a billion radio airplay audience impressions and over a half million downloads. Acclaimed as one of the genre’s most neo-traditionalist singers, his Top 15 breakout debut “Family Man” was featured on HBO’s True Blood and fan-favorite “Fish” has tallied nearly 400,000 digital copies sold. Campbell earned his first Top 10 smash with the infectious “Keep Them Kisses Comin’” from his sophom ore album NEVER REGRET (2013). The gifted songwriter co-wrote Garth Brooks “All American Kid” off of MAN AGAINST THE MACHINE. Prior to landing his first record deal, the Lyons, GA native spent time on the road playing keyboard for both Tracy Byrd and Luke Bryan – shows that inspired him nightly. He was soon discovered while playing a regular gig at the downtown Nashville honky-tonk, The Stage. 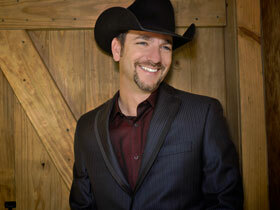 For more information on Craig Campbell visit www.craigcampbell.tv. 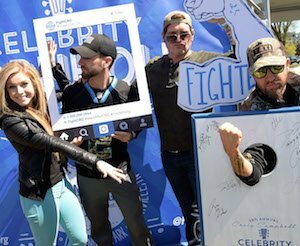 Craig Campbell Duets with 12 Year Old Country Prodigy Tegan Marie on "Outskirts of Heaven"